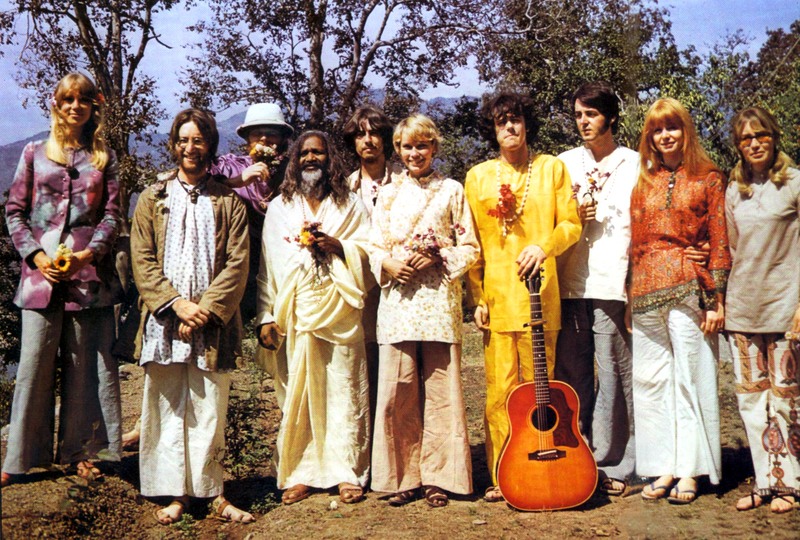 That’s Donovan looking very mellow yellow in the middle of the photo…standing between Mia Farrow and Paul McCartney. I’ve only recently come to realize what an influence ’60s songwriter Donovan Leitch was to the Beatles, perhaps to Paul more than the others. He was such a good friend and prolific songwriter that Paul at one point asked Donovan to contribute a line or two to the song “Yellow Submarine.” Donovan came up with “sky of blue, sea of green” which made its way into the final product. “Yellow Submarine” of course is the gateway song to the Beatles for many children. But anyway, Donovan knew the Beatles from London and they had invited him to India when they went on their great spiritual adventure with Maharishi Mahesh Yogi. Aside from meditating and opening their minds, Donovan and the Beatles had plenty of time on their hands and, at one point, John Lennon asked Donovan to teach him a certain style of finger-picking the guitar. “It’s moving so fast you don’t know what I’m doing right?” I replied. So I sat down and taught him the basic Carter Familyclaw hammer which I’d learned from somebody calledDirty Hugh. And John started writing a completely different kind of song, which happens. But it wasn’t just the picking, it was the descending pattern from A-minor to G to D to F which is the basis of many a blues and flamingo style. From “House of The Rising Sun” onward. John started writing “Dear Prudence.” But the one that touched me the most was the one to his mother, “Julia.” John knew I wrote songs about my childhood and could write in that style and he wanted to write a song about the childhood he felt he never had. John said my mother’s name was Julia and he started picking. So what I did naturally became for The Beatles in India a door to a whole new range of songwriting and I’m so pleased that happened. Later George said in the Beatles Anthology, “Donovan’s all over the White album.” And it seems I am. I didn’t invent these things, but I played them so much, it opened doors. The Beatles at that point were at a big watershed in their life. 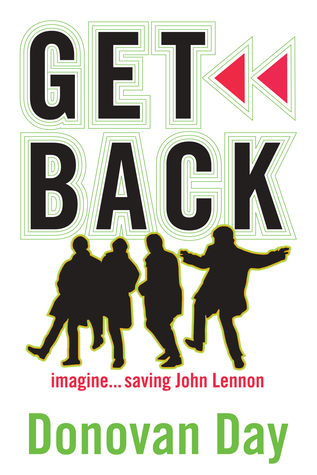 They’d lost their manager, Brian Epstein, discovered mediation and were searching for something different. Well, they certainly got something different from Donovan. A guitar style and a set of chords that opened up an enormous amount of new ways of doing things. And that’s what we musicians do, we pass on styles from one to another.